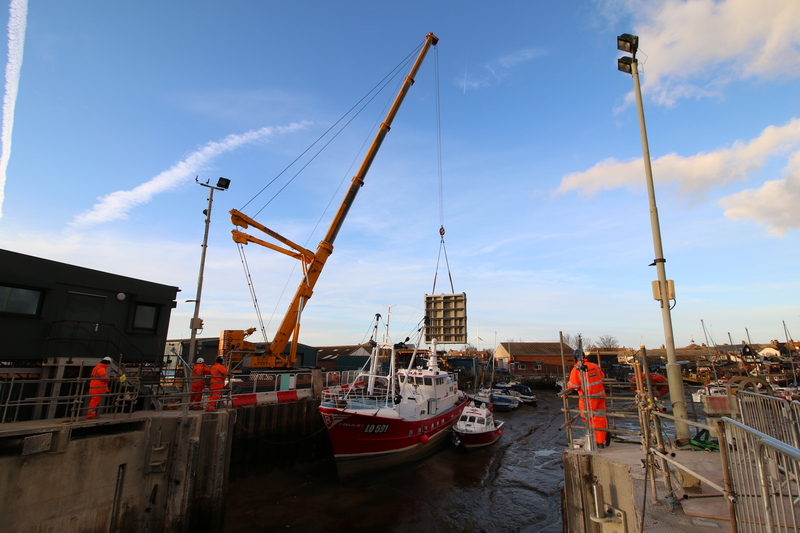 Huntons have recently commissioned a new set of tidal defence gates at the entrance to Queenborough Harbour on the Isle of Sheppy. The project was delivered over three years and consisted of the full design, fabrication, installation and commissioning. 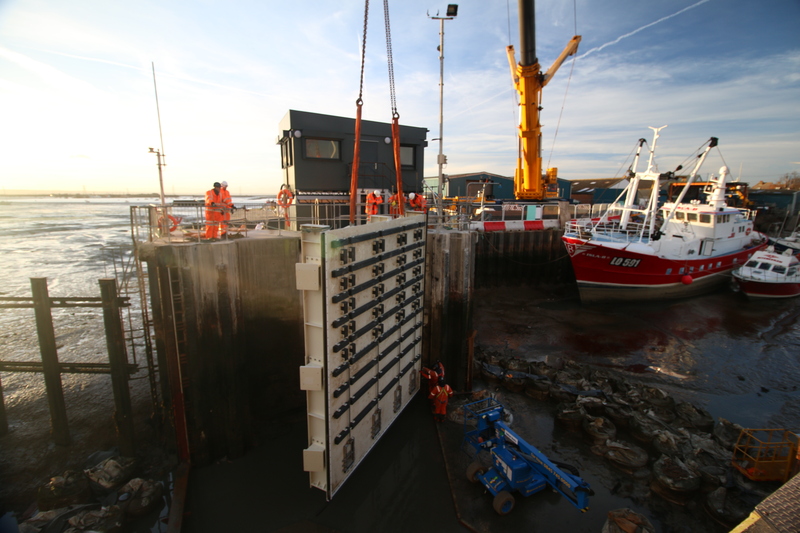 The defence barrier can be operated in two minutes and helps defend over 300 properties from tidal flooding. 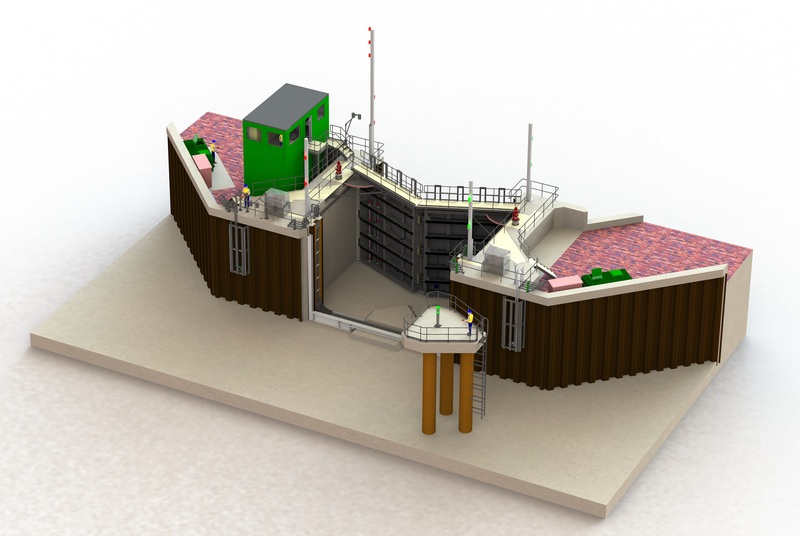 The installation included new hydraulic operating equipment and a custom designed control system. All of the MEICA equipment was delivered by Hunton Engineering from design through to commissioning. 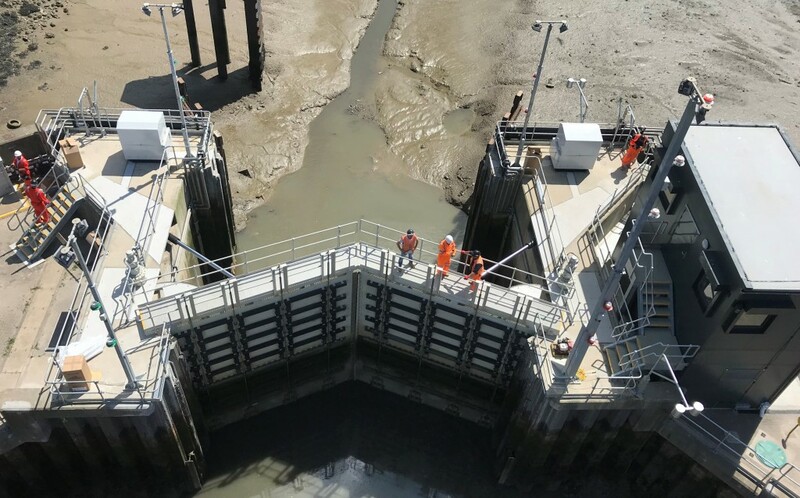 The old gates that have been replaced struggled to operate through the levels of silt which accumulated in the channel. The new gates utilise a silt management system, the first of its kind in the UK, to prevent the build up of silt in the channel. 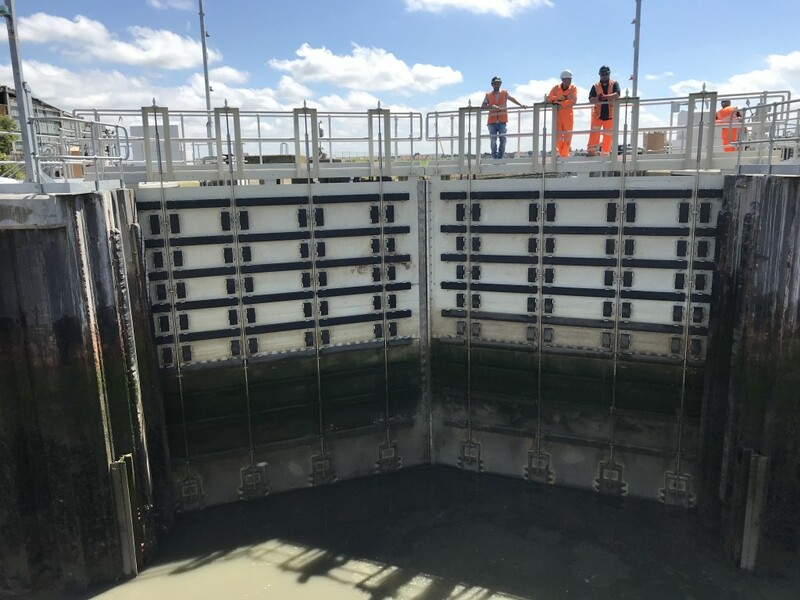 The system uses sea water flushed along purpose built lines jetting lines to keep the critical areas of the channel clear. 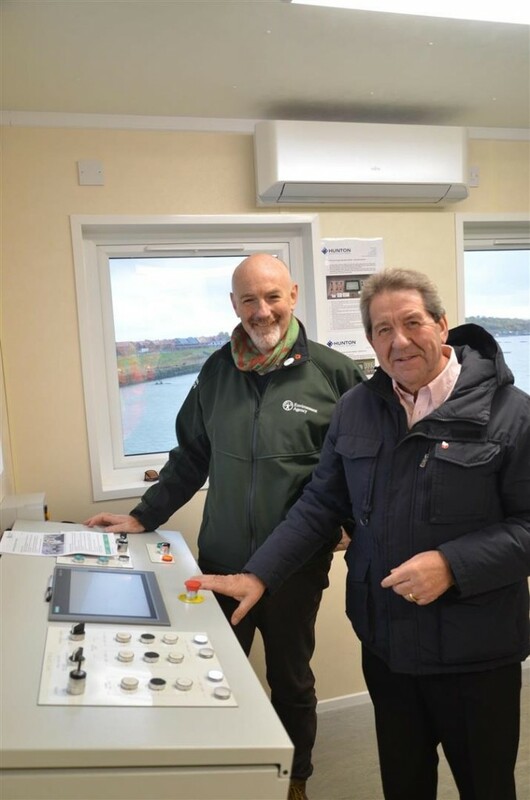 The barrier was officially opened by the director of the Environment Agency and Gordon Henderson MP in December 2018.